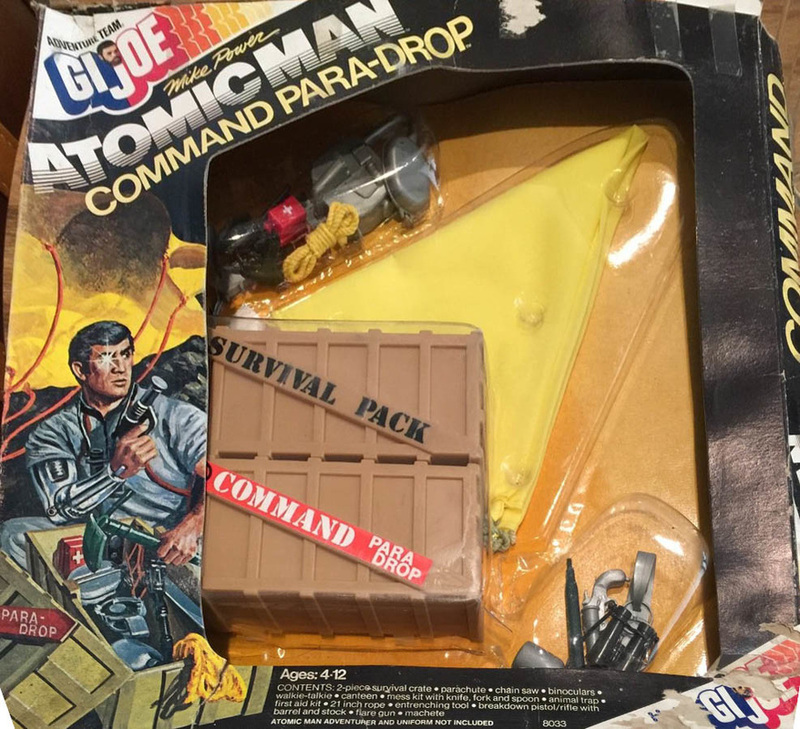 Command Paradrop (8033) was another 1975 Atomic Man release, and is one of the coolest sets in the AT line. A two-part supply crate is attached to a yellow parachute, and contains all manner of survival gear, some pieces unique to this set. Includes were a all silver chainsaw, a silver machete, rubber strap binoculars, a soft canteen, animal trap, first aid kit, mess kit, walkie talkie, flare gun, a dark green entrenching tool, and a black luger with stock and barrel. Image of the very tough to find boxed set below courtesy of eBay seller lazysusan51. See their auctions here!